Have you been troubled by snore? Even worse thing is that it may influence your health. uncomfortable throat can be caused by snore. Now the anti-snore device can help you solve this problem effectively. It brings you a comfortable sleep and healthy life. 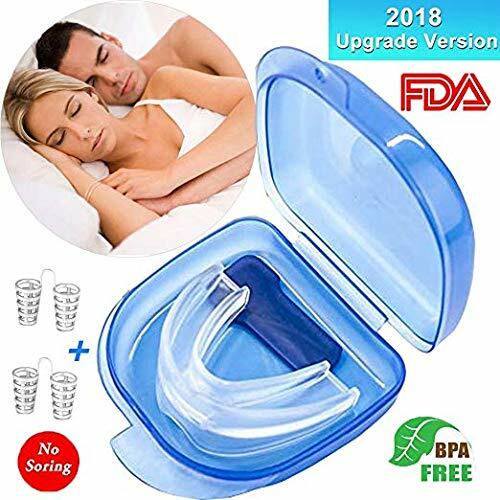 Definitely it is a great help to you！ Features: A brilliantly simple, effective and noninvasive anti-snoring device. One-size-fits-all solution uses displacement technology. Light weight and small model make it much convenient for using anywhere at any time. Easy to use. SATISFACTION GUARANTEED: 100% money-back guarantee. No questions asked!